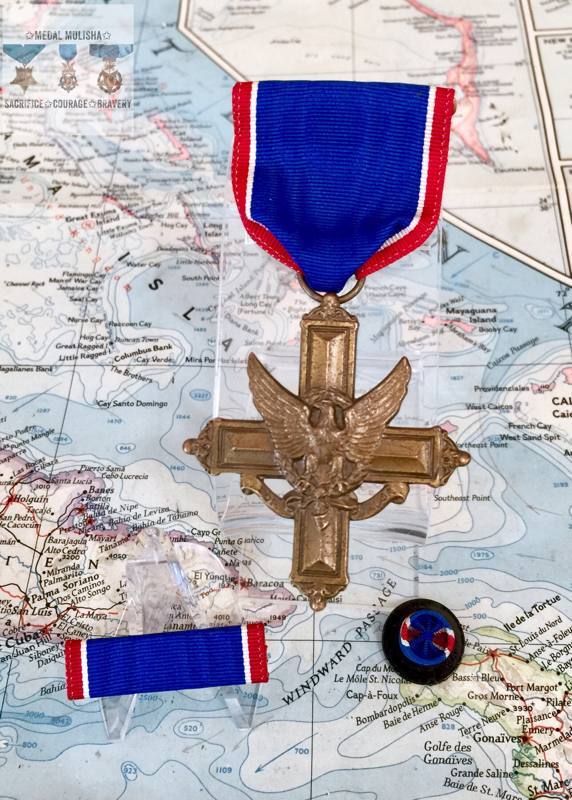 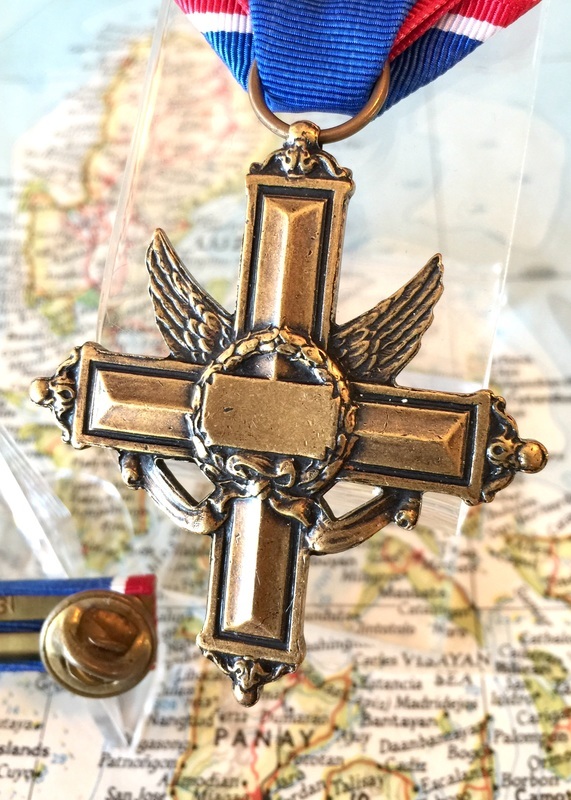 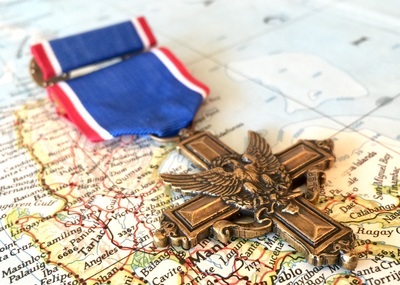 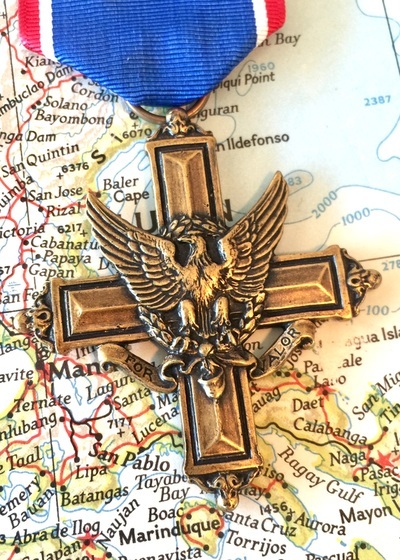 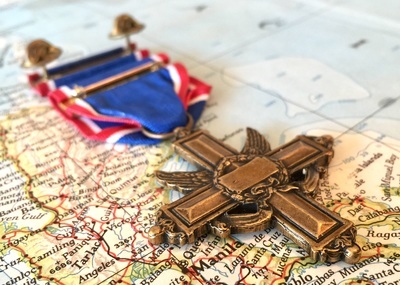 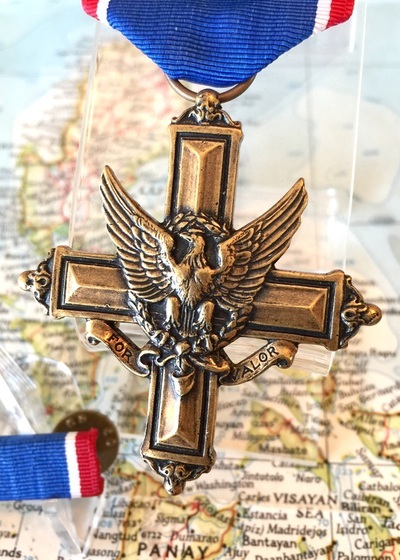 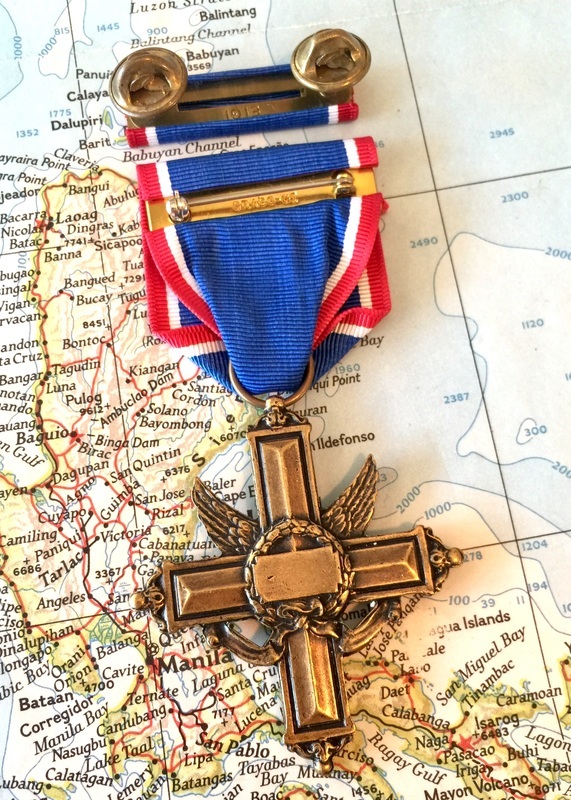 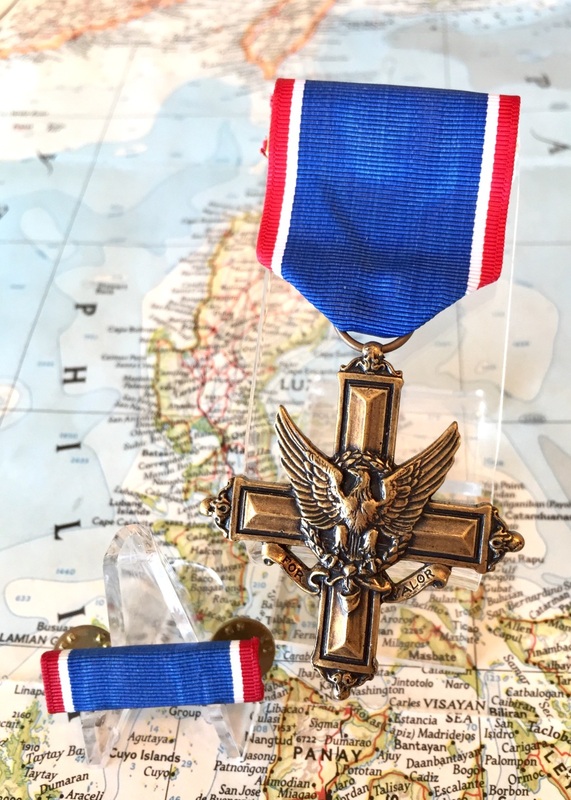 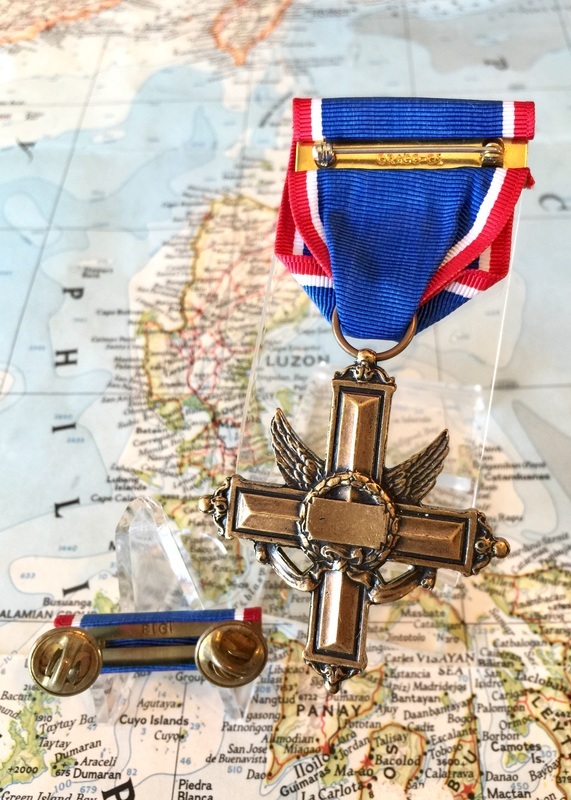 The Distinguished Service Cross is the second highest military award that can be given to a member of the United States Army (and previously, the United States Army Air Forces), for extreme gallantry and risk of life in actual combat with an armed enemy force. Actions that merit the Distinguished Service Cross must be of such a high degree that they are above those required for all other U.S. combat decorations but do not meet the criteria for the Medal of Honor. World War II 1945 "Robbins Co." U.S. Army Distinguished Service Cross Medal, Black Slot Brooch, Pin-Back Ribbon Bar, & titled Leatherette case. 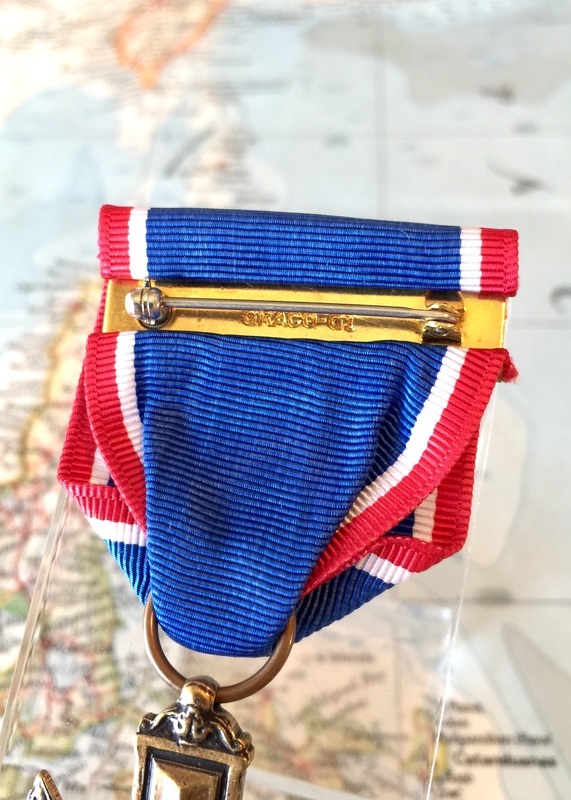 Ribbon drape & Bar tested U.V. 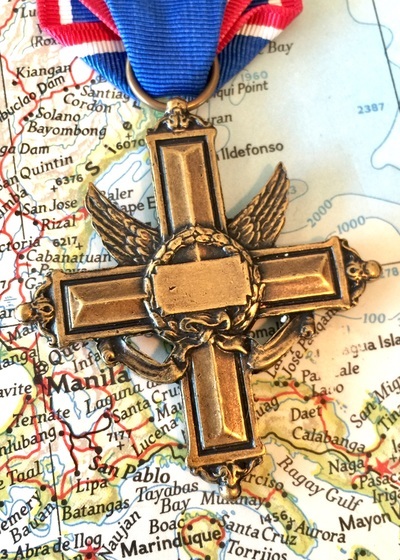 Negative as shown. 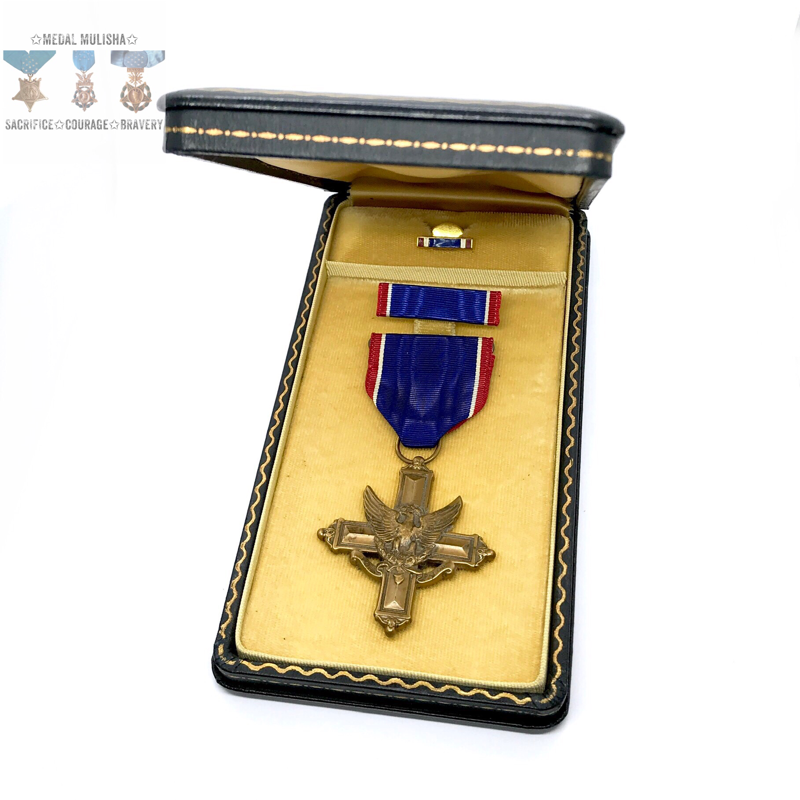 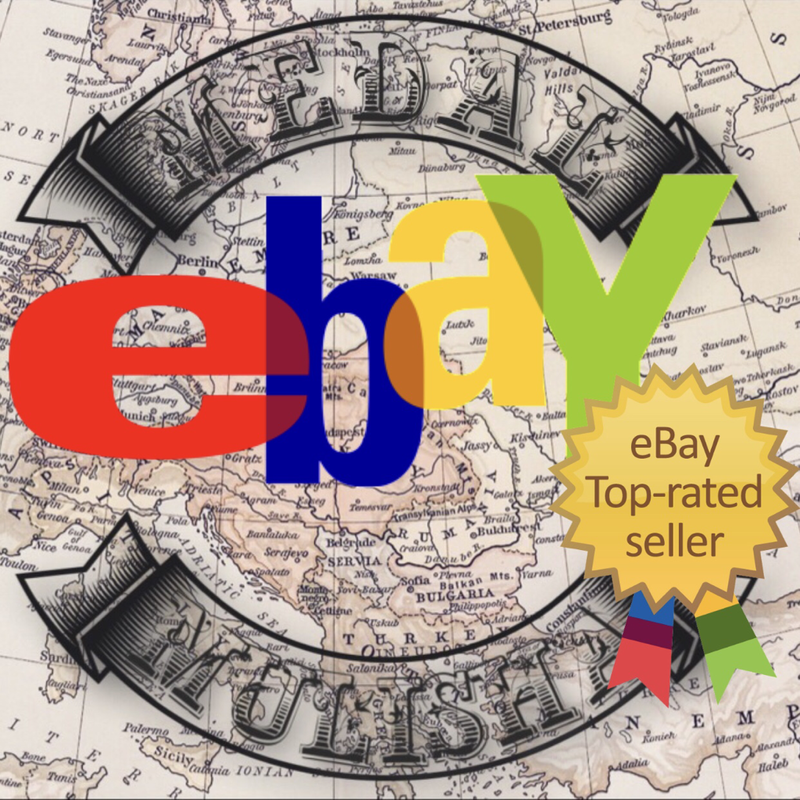 World War II United States Army Distinguished Service Cross Medal, slot brooch, pin-back Ribbon Bar, & Rosette. U.V. 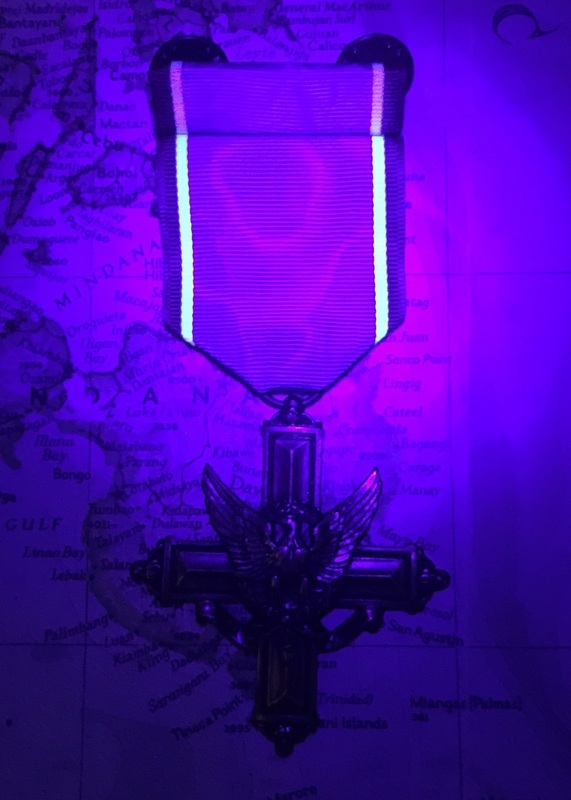 Negative as shown in photo #12. Current issue Army Distinguished Service Cross, “Grace” crimp brooch, LI-GI RIbbon Bar, Lapel Pin, & Leatherette Case. 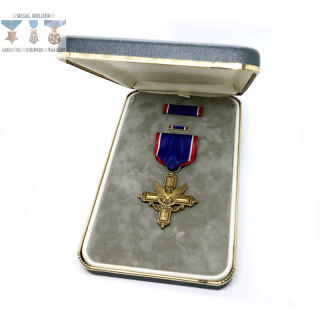 Current Issue U.S. Army Distinguished Service Cross Medal, Graco GI Crimp Brooch, Clutch-Back LIGI Ribbon Bar. 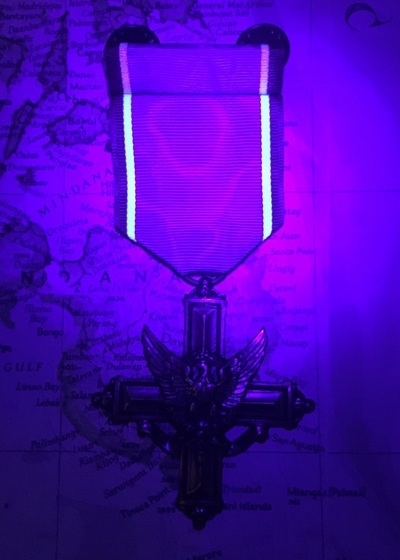 Ribbon Drape tested U.V. 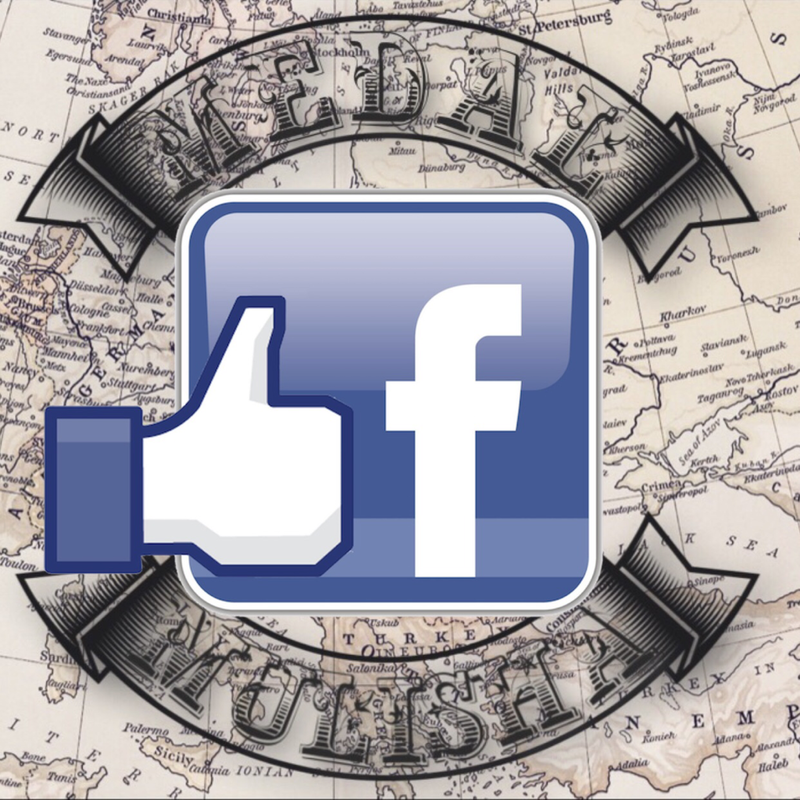 Positive as shown in photo #12.